Caroline's FG350 At Trefenter Festival 87/88 ? GJD715N (1974) Leyland FG350 . Dormobile B-F. Ex-L.B. West Ham . Seen 1987/88 ? Wales . 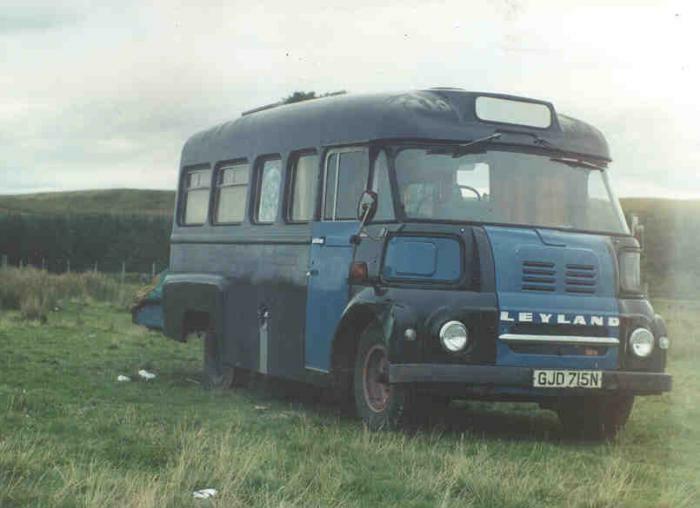 This is one of 3 similar ex-West Ham FG350 school minibus's at one time in Traveller's ownership . Photo = Caroline Driscoll .